On June 15, 2012, I started the GAPS diet. I was living a life of excruciating pain and disability. I didn't know how I could survive each day, never mind a lifetime with rheumatoid arthritis. The GAPS diet was magic for me, not because it brought overnight healing (it didn't), but because it started me on the path to healing. Within a week, my symptoms stopped getting worse, and very slowly, started to get better. That's what reversing autoimmune disease is all about. It's life-changing. Here's the truth, though: my goal wasn't reversal; it was cure. I chose GAPS because it is advertised as a temporary diet, one that heals most people within six months to two years. Obviously I was hoping for 6 months, but I was sure I could do it within 2 years. Interestingly, the word “cure” is never used in the book, but it's certainly implied. I held tight to that promise as I dove into the biggest challenge of my life. When I plateaued in my healing at 6 months and transitioned to the Paleo Autoimmune Protocol, I stopped seeing the diet as temporary. 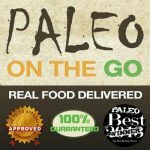 I understood that paleo is a life change, not a short detour that would return me to my old life. 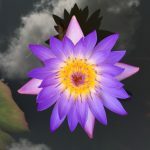 I let go of my wish for a cure (or at least I thought I did), and on my one-year healing diet anniversary, I simply felt grateful for how much healing I had achieved. This year, as my two-year healing diet anniversary approached, something surprising happened. Instead of feeling grateful, I would find myself crying for no reason, carrying a sadness I didn't understand. It took me a while to realize it was a deep grief over not being cured. Intellectually, I had accepted that there was no cure, but my body still held onto that wish. Approaching the magic GAPS “2 year” mark brought it to the surface. In spite of my healing, in spite of my progress, I can't shed RA like a snake sheds its skin. It's part of me now, and that's hard to accept. I remember that excruciating pain very well, and when you know your body can do that, I don't think you ever get over the fear of it happening again. I'm 95% better, which is an impressive statistic. RA used to be a scream inside my body, and now it's only a whisper. I AM grateful for that, but it's a scary whisper. I know – shocking, right? One of the reasons I believed GAPS could cure me is that the internet tends to exaggerate. So, if you're looking for false promises, they're easy to find. All you have to do is google “terry wahls cured” and you'll find countless articles that make this claim, even though she herself will tell you otherwise. Has she made major progress? Absolutely. She went from a wheelchair to a bicycle, which is no small feat. Reversing autoimmune disease is transformative, but that's not the same as cure. Terry Wahls still has MS.
People have done the same to me, using the past tense about my journey, as if I've reached the finish line and I'm done. I think sometimes it's simply a lack of understanding. The blogger doesn't have autoimmune disease themselves; they don't understand how it works. They see a success story and think someone is cured, even if that person never claimed to be. Then there's the business motivation: “cured” makes a better headline and generates more interest. News is often about ratings and soundbites. But autoimmune healing is more complex than that. These lies hurt, because they set up false expectations for people just starting this journey. They make people feel like a failure if they don't reach a symptom-free state. And they disrespect the work we do day-in and day-out to keep our autoimmune disease in check and stay healthy. It's why I'm so detailed in my success story interviews on this blog. I want to share the amazing progress people have made, but I refuse to hide the struggles that remain. This is a “real life” blog. I have autoimmune disease and so do my readers; sugarcoated stories don't help us. Natural or spontaneous remission of rheumatoid arthritis is rare. Clinical remission is used to refer to when signs and symptoms have lessened due to medications. According to some definitions, I am in remission. My symptoms have dramatically lessened. Complete remission is my holy grail, but even if I achieve that, it's not the same as a cure. 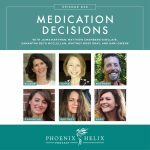 Mickey from Autoimmune Wellness doesn't like to use the word remission, because she thinks it implies a freedom that's doesn't reflect reality. The minute we eat foods we shouldn't, or let stress get out of control, symptoms return. When it comes to autoimmune disease, healing is a lifestyle, not a “fix.” Whitney from Nutrisclerosis talks about the flipside of this truth: as long as we live a healing lifestyle, remission doesn't need to be temporary at all – it can last a lifetime. I have a love/hate relationship with the law of attraction. I think a positive mindset is important; you can't heal without it. But there's a fine line between positive thinking and denial. The people I've met who refuse to accept the truth of their disease usually refuse to take responsibility for doing what's necessary to heal. You can't think your way out of autoimmunity. Owning RA doesn't give it power over me; it gives ME the power. If A Cure Isn't Possible, What's the Point? The point is that you can get better. With autoimmune disease, the path is typically a downward spiral. Even with medication, your health deteriorates, you lose abilities, and your life can eventually feel like something impossible to survive. 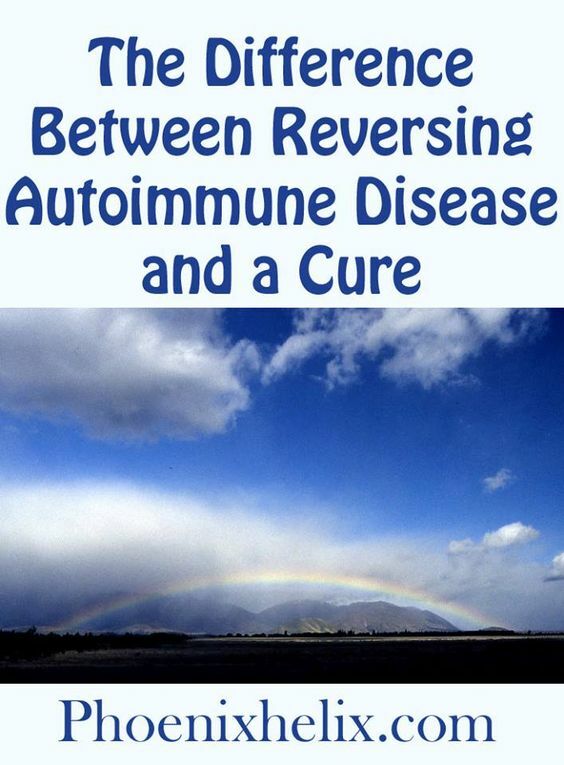 Reversing autoimmune disease is about reversing that process. 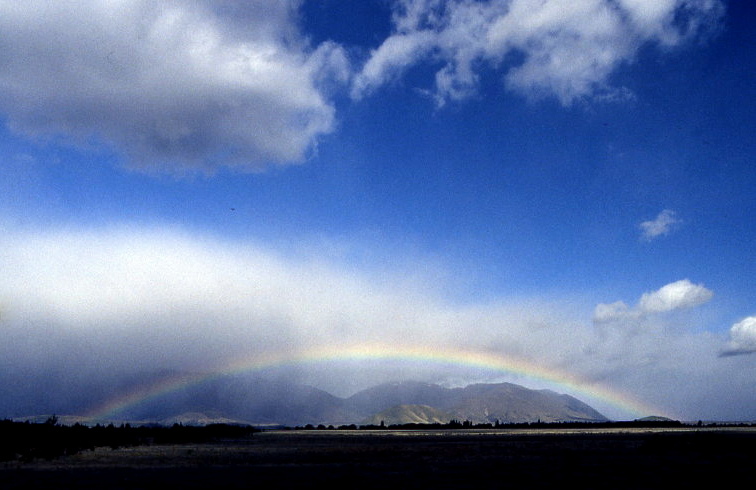 Your health improves, you regain abilities, and your life can become full and beautiful again. It may not be perfect, but it's certainly worthwhile. What Does Autoimmune Reversal Look Like? Two years ago, I lived with constant pain. I flared every night so severely I was gasping and crying and wearing splints and slings to immobilize my joints. I couldn't work. I couldn't open a jar or lift my arms over my head. Pain woke me throughout the night. It was even hard to be comforted, because hugs hurt. Now, I work full-time, live a pain-free life, exercise every day, am fully functional in daily life, and I haven't flared in well over a year. I have my healing diet and lifestyle to thank for this change. I can still feel low-grade inflammation in my body, but it no longer disables me. When Mickey Trescott was at her worst, she experienced anxiety, insomnia, depression, exhaustion, hair loss, joint pain, dizziness, brain fog, neuropathy, and anemia, along with severe hormone, blood sugar and blood pressure imbalances that sometimes looked like seizures. She lost her ability to work, spent her days on the couch, and lost faith she would ever get well. Celiac and Hashimoto's were behind these symptoms. Today, after two years of dietary healing, she works full-time as a cookbook author and nutritional consultant, and is in the process of building a house and starting a sustainable farmstead with her husband. She has to watch her thyroid levels to stay healthy, and she has to pace herself physically, but she loves her life again. Whitney Ross Gray has multiple sclerosis. She endured a long list of symptoms, including vision trouble, neuropathy, bladder urgency, leg weakness, muscle spasms, sexual dysfunction, brain fog, fatigue and weight gain. 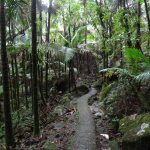 She turned to the paleo autoimmune protocol four years ago, when most people had never heard of it. Within a year, she was symptom free, and she's maintained that status ever since. If she strays from her healing diet, her body quickly reminds her what MS feels like, so she sticks to the paleo lifestyle to maintain her remission. These are just three examples. There are many more on the Success Story section of my website: for lupus, epilepsy, Crohn's, Takayasu’s arteritis, ankylosing spondylitis, ulcerative colitis, psoriasis, and more. And that's just my blog. You'll find other stories of autoimmune reversal all over the internet. The detailed stories are the ones you can trust, and it is possible to feel better! I'm a bit of a perfectionist, and that's a good and bad thing. I work every day on healing myself. It's why I've made so much progress; I haven't strayed from this path even once in two years. But it also means I put a lot of pressure on myself, and the longer I do this, the more I realize I need to lighten up once in a while. That doesn't mean I start sabotaging myself. I'm not going to do anything that causes me to flare. But it does mean I can take a few months off from any new troubleshooting efforts. If I don't feel like meditating some nights, my health will still be fine. I can drive or walk in silence, instead of listening to the latest paleo podcast. I can put away my research and pick up a fluff mystery instead. My parents raised two of their grandchildren, and in the beginning they thought it was temporary. There was an intensity and an exhaustion to the first year, because they thought there was a finish line. They were over 60 years old and raising toddlers again. When it became clear it was permanent, they actually relaxed. They needed to pace themselves and embrace reality. So do I. I accept that there is no cure, that RA is a thread that is now in the fabric of my life. Thankfully, I get to choose how that tapestry looks. I believe in my body's potential to heal, and it's not done yet. Complete remission is still my goal. But in the meantime, I have a life to live. And here's another truth: if I never get better than this, my life is still amazing.